METAIRIE — Saints head coach Sean Payton has a credo that says it doesn’t matter how a player arrives in New Orleans. He can be a high draft choice, the centerpiece of a big trade, a high-priced veteran free agent or an undrafted free agent. Once players join the organization they are all on equal footing. The most deserving will earn jobs. Period. There have been no better examples of that credo being put into practice in Payton’s 11-year tenure than the careers of wide receiver Lance Moore and running back Pierre Thomas. 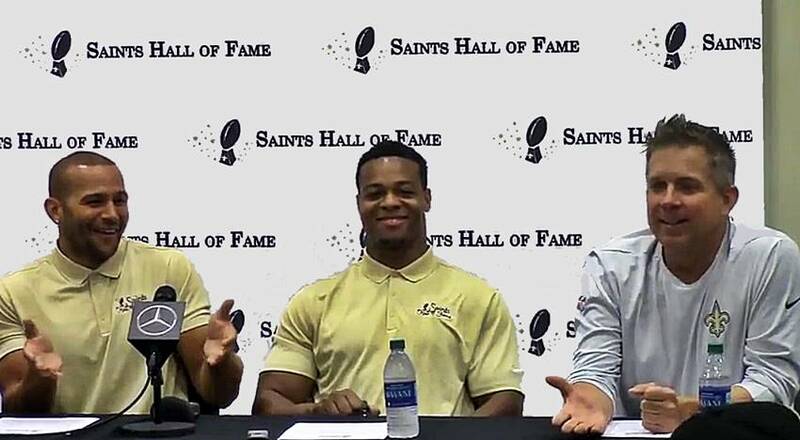 For their lengthy and distinguished careers, which include being significant contributors to the Saints’ Super Bowl championship after the 2009 season, Moore and Thomas were introduced Thursday as the 2018 Saints Hall of Fame class. The pair will be inducted Sept. 14 and recognized two days later on the field at the Mercedes-Benz Superdome at halftime of New Orleans’ game against Cleveland. 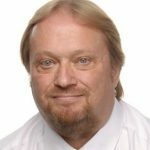 Long-time team photographer Michael Hebert also will be honored as the recipient of the Joe Gemelli Fleur de Lis Award for his contributions to the organization. Both were undrafted free agents, Moore signing with the organization out of Toledo in 2005 and spending a year on the practice roster before Payton arrived, and Thomas signing out of Illinois in 2007 after Payton’s first team went to the NFC Championship Game. Shortly after Payton’s arrival, the Saints decided to have Moore participate in NFL Europe, which was a developmental program, during the summer before the 2006 season. He wound up playing nine seasons in New Orleans. Moore ranks fifth in Saints history in receptions (346), seventh in receiving yardage (4,281) and fifth in touchdown receptions (38). When Thomas showed up the Saints already had veteran running backs Deuce McAllister, Reggie Bush and Aaron Stecker and had just drafted Antonio Pittman in the fourth round. In turns out they did. In fact, when Thomas left Chicago to try out in New Orleans, he drove down and brought all his belongings with him, convinced he’d be hanging around a while. “I wanted to show that I deserved to be here,” Thomas said. Thomas was fatefully assigned a locker next to Moore’s and the two became fast friends — “brothers” they both said Thursday. Thomas made the team and Pittman didn’t as Payton decided not to “double down on a mistake” by keeping a fourth-round draft pick who had been outperformed by the undrafted free agent. “It was not a difficult call,” Payton said. In eight seasons, Thomas accumulated 3,745 rushing yards (fourth in Saints history), 28 rushing touchdowns, an average of 4.6 yards per rush, 327 pass receptions, 2,608 receiving yards and 12 touchdown receptions. He’s seventh in Saints history in career yards from scrimmage (6,353) and eighth in total touchdowns (41). Payton called Moore and Thomas “key puzzle pieces” to the franchise’s only Super Bowl title. When the Saints and the Minnesota Vikings went into overtime in the 2009 NFC Championship Game in the Superdome, Thomas returned the kickoff 40 yards to the Saints 39. Seven plays later the Saints faced a fourth and 1 and Thomas ran head on into Vikings linebacker Chad Greenway, powering his way to a 2-yard again to the Minnesota 41. Moments later, Garrett Hartley kicked New Orleans into the Super Bowl with a 40-yard field goal. Two weeks later, Thomas scored the Saints’ first touchdown against the Indianapolis Colts on a 16-yard screen pass from Drew Brees on the first possession of the third quarter. That gave New Orleans its first lead, 13-10. Later, Moore, whose post-season availability had been in doubt because of a hamstring injury that sidelined him late in the regular season, made an acrobatic catch of a two-point conversion pass from Brees that gave New Orleans a 24-17 lead with less than six minutes remaining in the game. A little while later, Brees was kneeling out the clock in a 31-17 victory. He, Thomas, Hebert and Payton spoke inside the Saints headquarters, just a few steps from where the Lombardi Trophy is displayed. In the audience were owner Gayle Benson and executives Mickey Loomis and Dennis Lauscha. Both players acknowledged Mrs. Benson’s late husband, Tom, who died of natural causes in March. Super Bowl teammates Brees, Zach Strief and Thomas Morstead were also there as was current Saints running back Mark Ingram. Moore noted that it was unusual for him and Thomas to be situated front and center because they weren’t often there as players. “I feel like I was a player who seized the opportunity when I got it,” Moore said. “My mentality was to play as if you still haven’t made it. I did that from day one until the day I decided to hang them up.